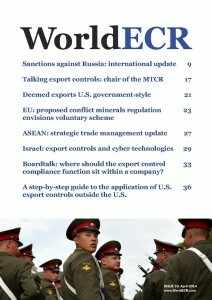 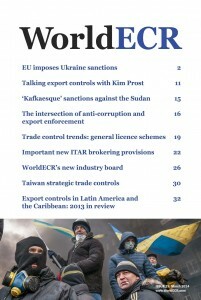 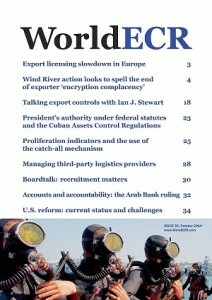 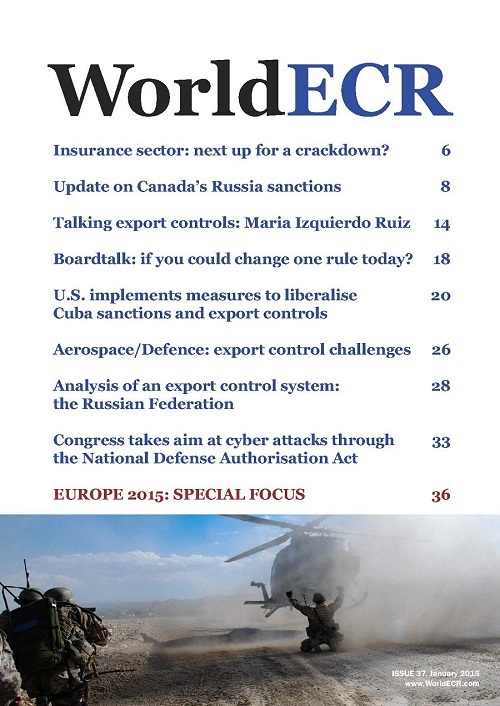 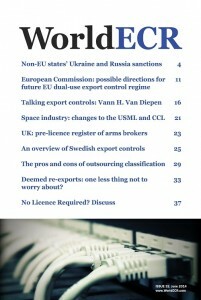 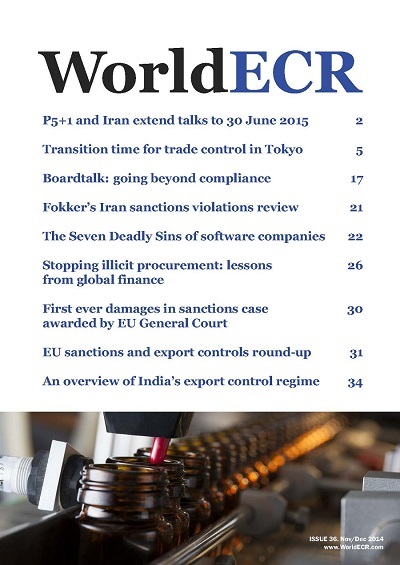 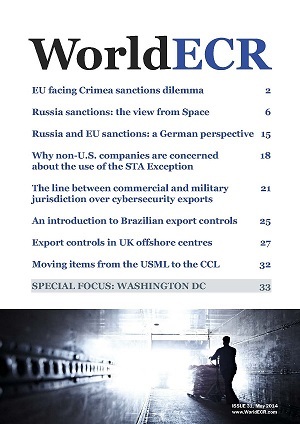 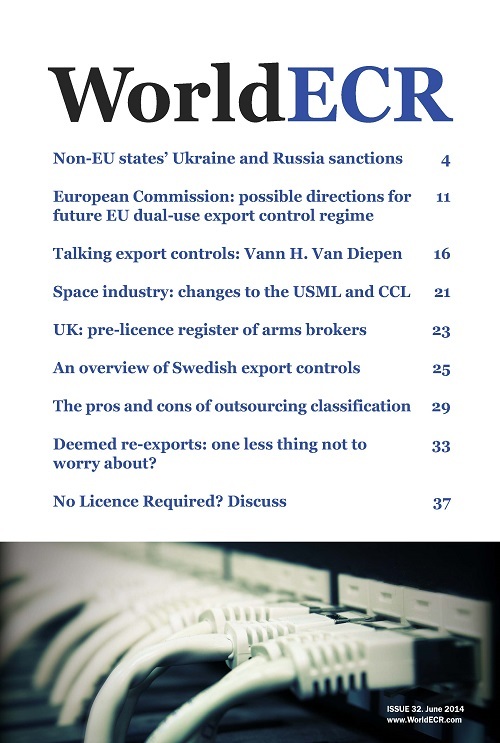 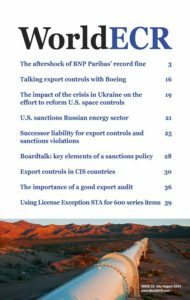 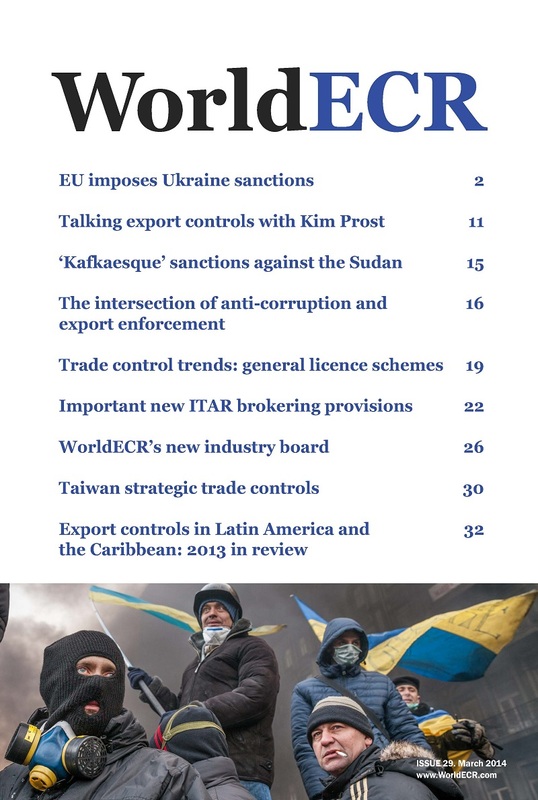 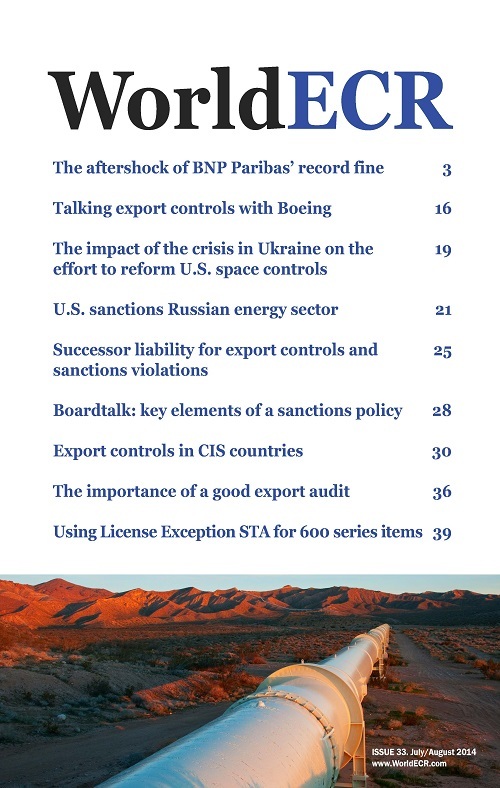 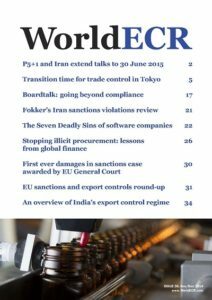 U.S. implements measures to liberalise Cuba sanctions and export controls; Aerospace/Defence: export control challenges; Analysis of an export control system: the Russian Federation; Congress takes..
An overview of India’s export control regime; P5+1 and Iran extend talks to 30 June 2015; Transition time for trade control in Tokyo; Boardtalk: going beyond compliance; Fokker’s Iran sanctions..
Wind River action looks to spell the end of exporter ‘encryption complacency’; Talking export controls with Ian J. Stewart; Proliferation indicators and the use of the catch-all mechanism;.. 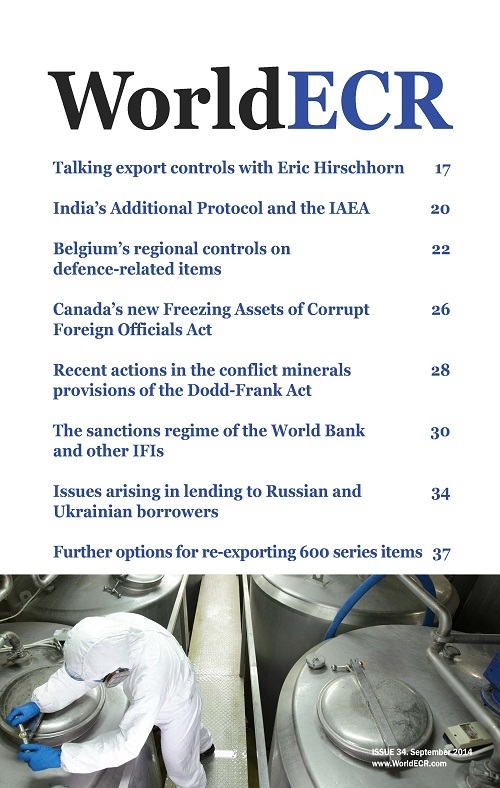 The sanctions regime of the World Bank and other IFIs; Talking export controls with Eric Hirschhorn; India’s Additional Protocol and the IAEA; Belgium’s regional controls on defence-related..
Talking export controls with Boeing; Successor liability for export controls and sanctions violations; Export controls in CIS countries; The importance of a good export audit; Using License..
Non-EU states’ Ukraine and Russia sanctions; European Commission: possible directions for future EU dual-use export control regime; Space industry: changes to the USML and CCL; UK: pre-licence..
Russia and EU sanctions: a German; Why non-U.S. companies are concerned about the use of the STA Exception; The line between commercial and military jurisdiction over cybersecurity exports; An..
Sanctions against Russia: international update; Deemed exports U.S. government-style; EU: proposed conflict minerals regulation envisions voluntary scheme; ASEAN: strategic trade management update;..
EU imposes Ukraine sanctions; Talking export controls with Kim Prost; The intersection of anti-corruption and export enforcement; Trade control trends: general licence schemes; Important new ITAR..
Cyber incidents: the appropriate response? 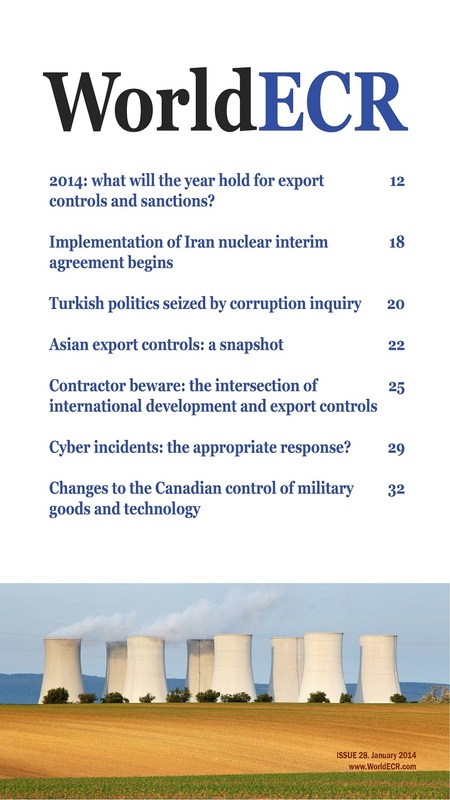 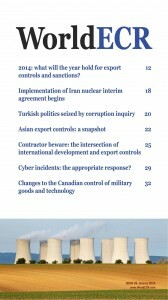 ; Asian export controls: a snapshot; Changes to the Canadian control of military goods and technology; Contractor beware: the intersection of international..